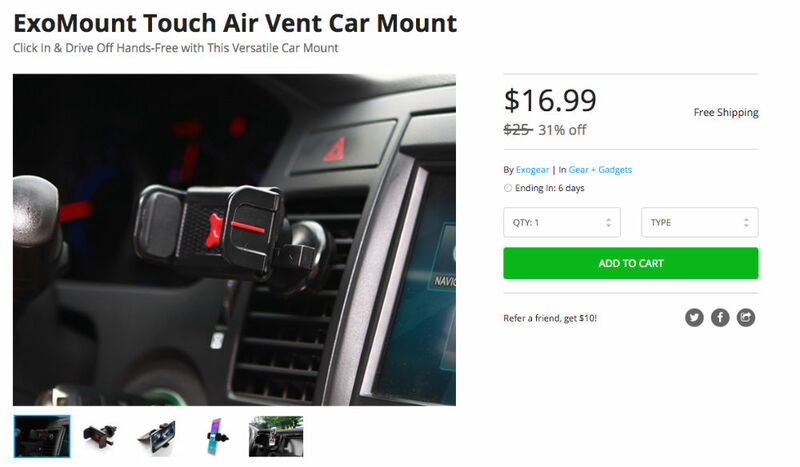 Thanks to the ExoMount Air Vent on sale in the DL Deals Store, you won’t need to store your precious smartphone in your car’s cup holder anymore. Priced at only $17, down from its usual price of $25, this car mount makes setting up your device extremely simple with only one touch needed to get the job done. And thanks to 360˚ rotation and swivel, the mount should allow for nearly any viewing angle, no matter the model of vehicle. Inside the mount, non-slip rubber grips will ensure your phone does not go flying whenever you have to hit the brakes, too. The mount is also good for the office. If you attach a thick credit card, you can use the mount on your desk, making it a 2-for-1 accessory. If this car mount is of interest to you, grab it by following the link down below.